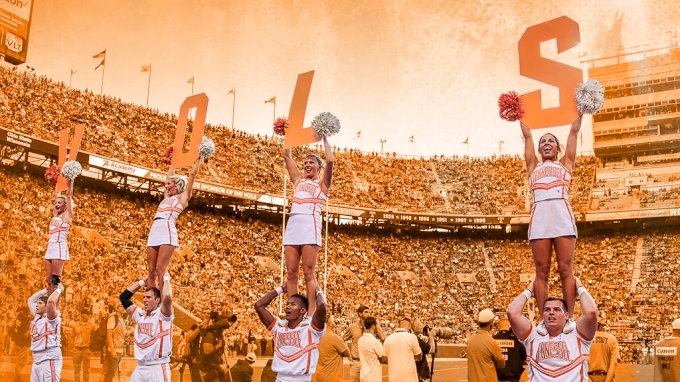 We're taking you on the sidelines with the University of Tennessee spirit squads as they play the University of Alabama. The friendly rivalry runs deeps, and so does the tradition and spirit of the Volunteers. You'll see game day like you've never seen it before as we follow the team from appearances, practices, parade and game time festivities. Get to know the Tennessee Spirit Squads, then tune in this Saturday as they play the University of Missouri Tigers! You'll have a whole new perspective of what life is like on the sidelines.